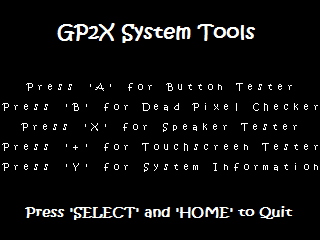 Text reader based on GP32 !Reader. 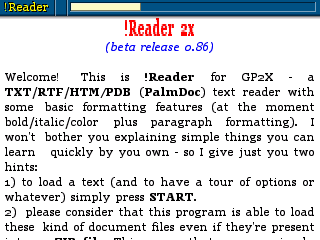 Supports the following file formats: TXT, HTML, RTF, PDB (Palm) and PDF. - Fixed problems with long filenames. - Optimized scrolling and interface painting. Two modes, calculator mode & notepad mode. 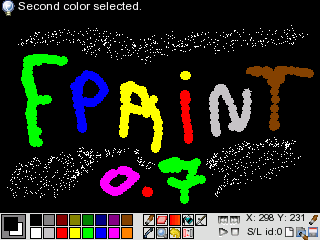 FPaint is a drawing app for GP2X F100 and F200. 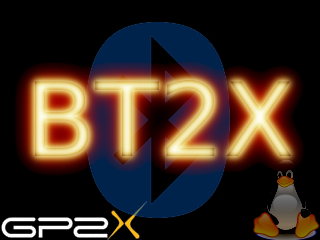 as BMP and size is 320x240 pixel. 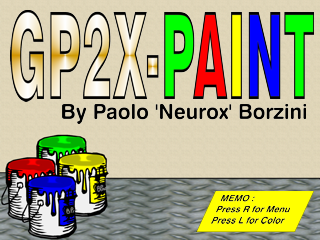 GP2X_Nat2008 is the fun way to celebrate the holidays by creating your very own Christmas Tree. Decorate your own Christmas Tree using ornaments and lights. 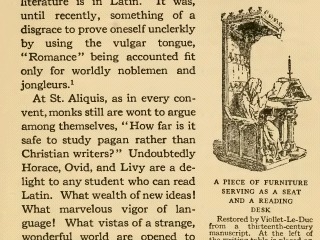 Add greeting texts. Then save your Christmas Tree into PNG images. PDF viewer based on MuPDF library, way faster than PDFView. - Reduced batteries consumption when being idle, because the application no longer does busy waiting for events. This is a very simple test program with SDL interface. It detects automatically your bt device and load the corresponding modules. Next, it scan bt devices and display devices found directly on screen. 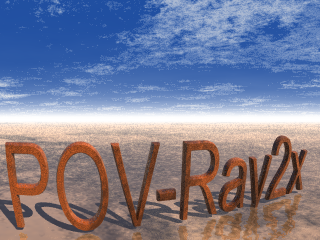 POV-Ray2x is a port of POV-Ray (Persistence of Vision Raytracer, https://www.povray.org) for gp2x. - All POV-Ray features except TIFF images support.